Cool-Sculpt by ZELTIQ was developed from breakthrough research by world-renowned dermatlogists Diter Manstein, MD and R. Rox Anderson, MD of the Wellman Center for Photomedicine at Massachusetts General Hospital, a teaching affiliate of Harvard Medical School. What Are The Benefits Of Cool sculpt? Noticeable, natural-looking reduction in fat bulges in two to five months. Because the treated fat cells are eliminated, as long as you maintain your healthy lifestyle, long-term results should remain stable. Individual results may vary. This revolutionary procedure uses a precisely controlled cooling method called Cryolipolysis to target, cool, and eliminate fat cells. Over the next two to four months after your procedure, the cystallized fat cells breakdown and they are naturally flushed from your body. The perfect ritual to ensure that your skin as is striking as your dress! The amethyst wrap draws deep toxins from the cells and astral body. This is an effective treatment for the elimination of cellulite. You are first exfoliated from top to toe then the application of Guam warm formula to hips and thighs, followed by the tummy formula or the bust formula. This patented slimming technique reactivates the fat release process (lipolysis) to erase localized fat and imperfections. 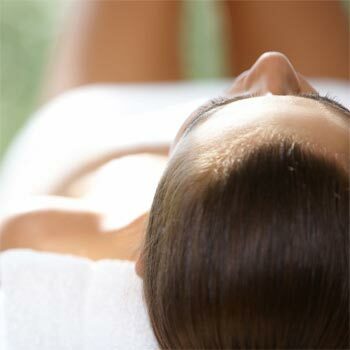 Feel fresh and alive with this detoxifying treatment that leaves you feeling invigorated and full of energy. This intensely hydrating treatment includes the layering of rich rose serum, oil and cream, leaving your body radiant, soft and smooth with your spirits bright and uplifted. A gently nurturing back treatment that uses sound-healing to activate self healing, realigning natural rhythm and restoring balance. These healing renewals use the ionizing properties of Himalayan salt crystals to nourish both bodily and emotional wellbeing. An Energising and Detoxifying Body Renewal is intensified by the addition of a mud wrap, drawing deeper toxins from the cells. A nutrient-rich marine flora and Himalayan salt scrub – to cleanse and re-energise the bio-magnetic field and lymphatic system – is enhanced by the addition of a seaweed wrap. Noticeable, natural-looking reduction in fat bulges in two to five months. Recent technological developments have made it possible to use radio frequency (also known as radio wave) energy for non-invasive aesthetic applications. Your treatment starts with body brushing to wake up your skin, followed by relaxing into a specially designed deep tissue detox massage targeting stubborn areas of cellulite. Remove unwanted fat and cellulite, recreate wonderful posture. SPA CLUB @ Beach Road, the newest luxury spa in the Central Business District, unveils a full suite of premium face, body, beauty and health services for the most discerning of clients. View more. To sign up for our newsletter or promotional offers, please enter your email address here. SPA CLUB AT BEACH ROAD is a Singapore based luxury Spa in the Central Business District with a full suite of premium face, body, beauty and health services. Checkout our e-store for Spa gift vouchers, skin care products, concealer, aroma diffusers, gifts / travel essentials and more.